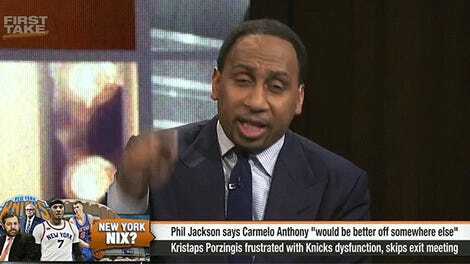 Last April, Stephen A. Smith rained down righteous fury upon then-Knicks president Phil Jackson. New York fans have probably never felt in greater alignment with ESPN’s handsomely compensated take ejaculator. It was beautiful and cathartic to witness, all storm and fury, audible saliva froth and recklessly abandoned half-sentences. “I’m so damn disgusted, that this damn Phil Jackson is still in New York City,” Smith said, forever inscribing the syntax “this damn ___” into my brain. The Triangle-humper’s mismanagement of the Knicks would continue to inspire some of Smith’s most experimental, scatting-adjacent work. As a native New Yorker and tireless sentinel of Carmelo Anthony’s reputation, Smith poured passion into his anti-Jackson polemics, and it seemed to elevate his vocal art to a new plateau. 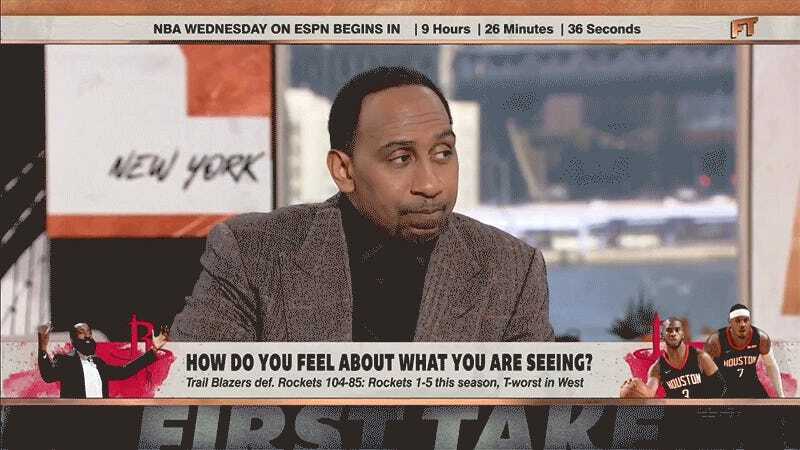 Stephen A. Smith ..... is correct.